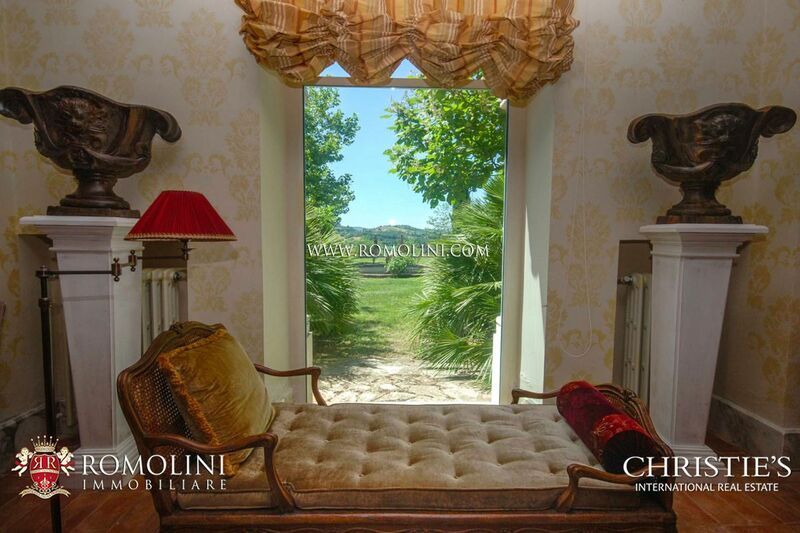 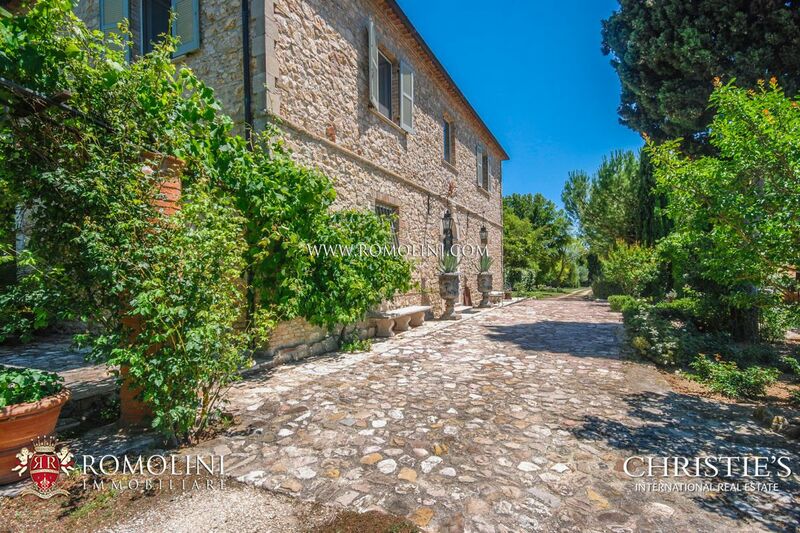 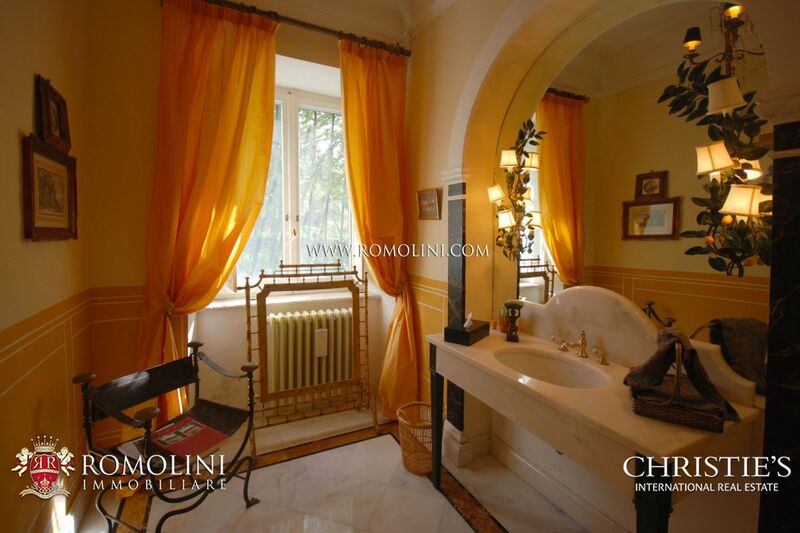 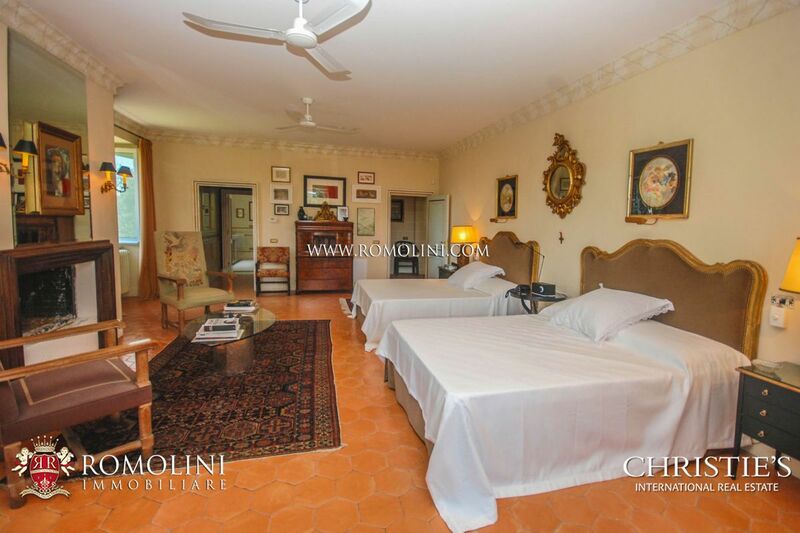 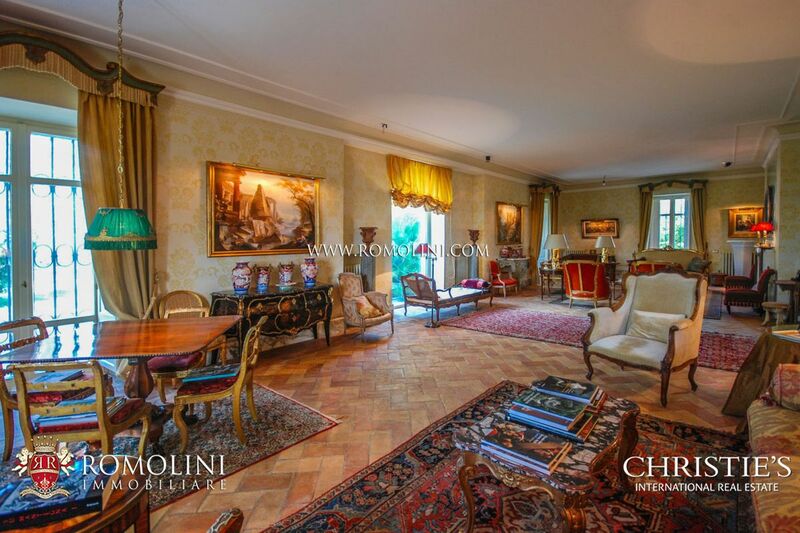 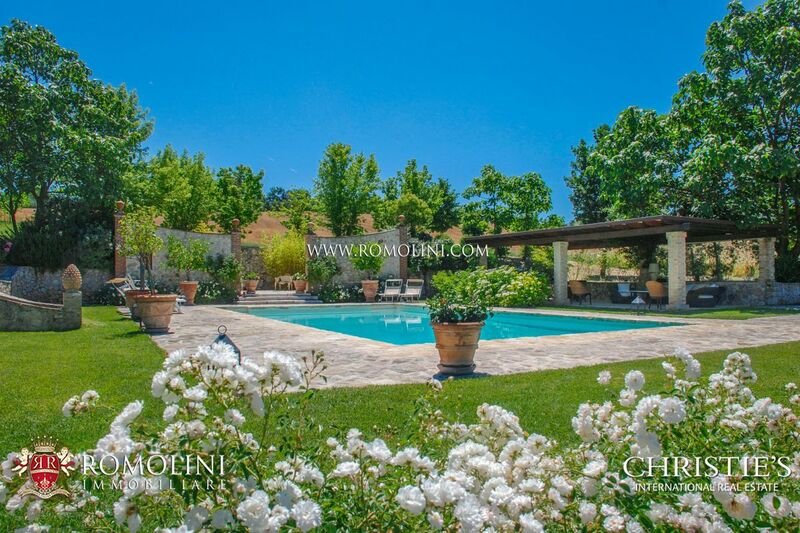 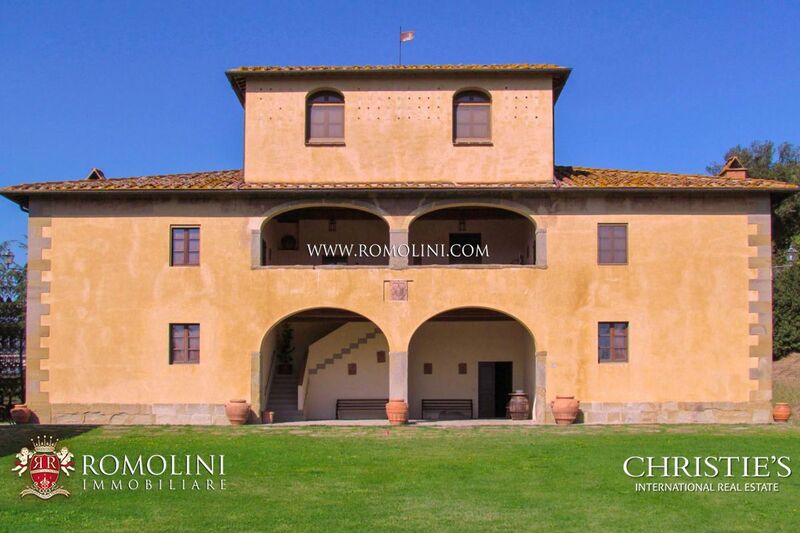 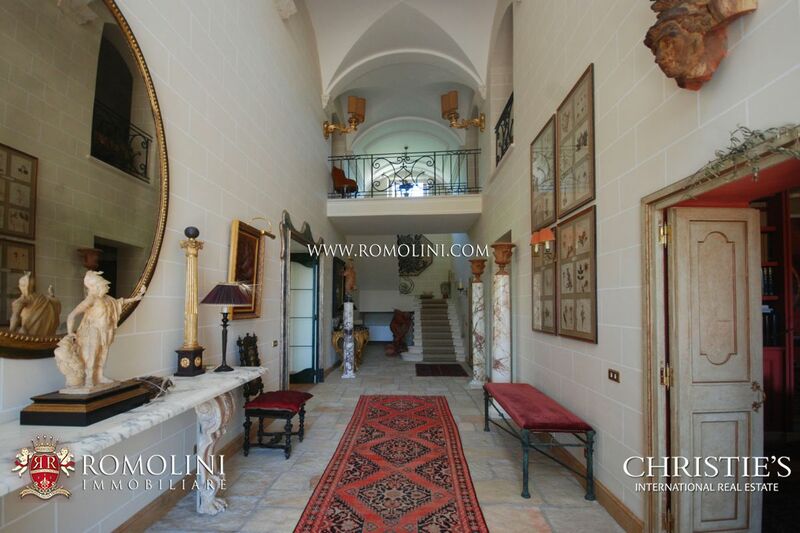 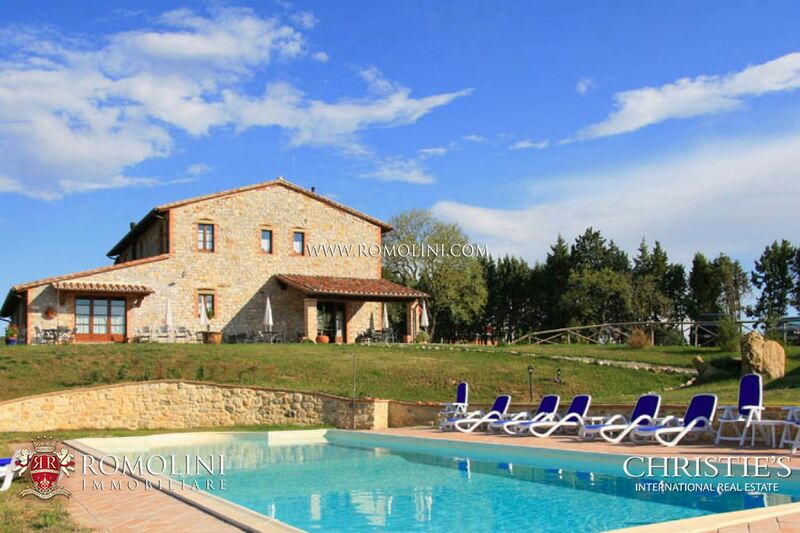 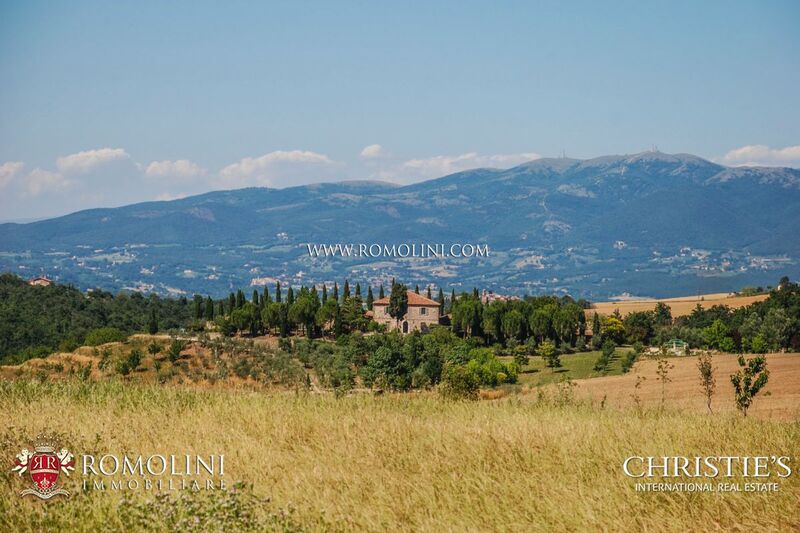 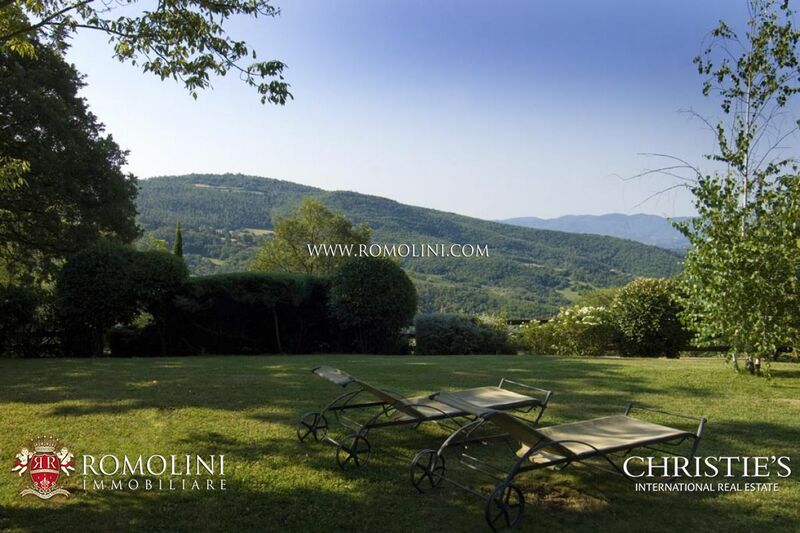 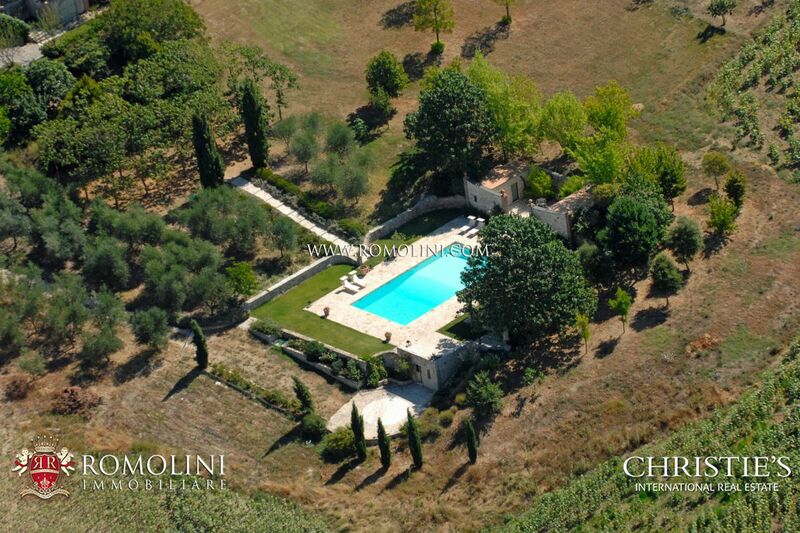 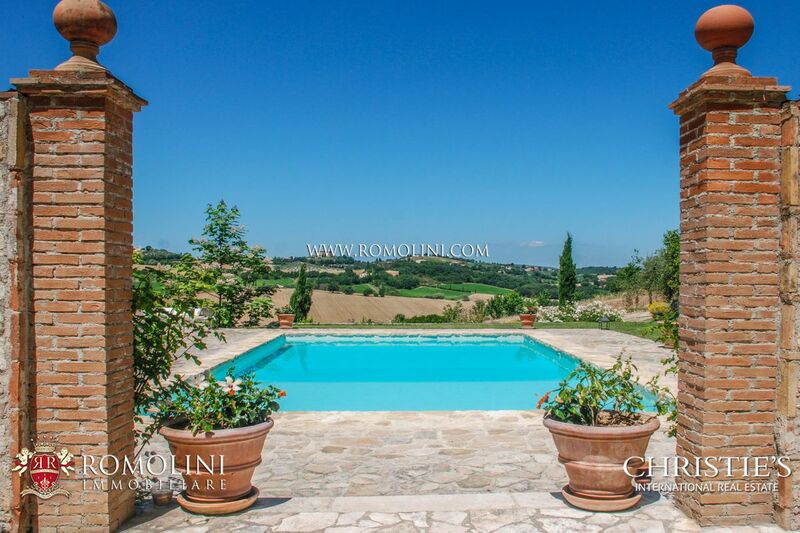 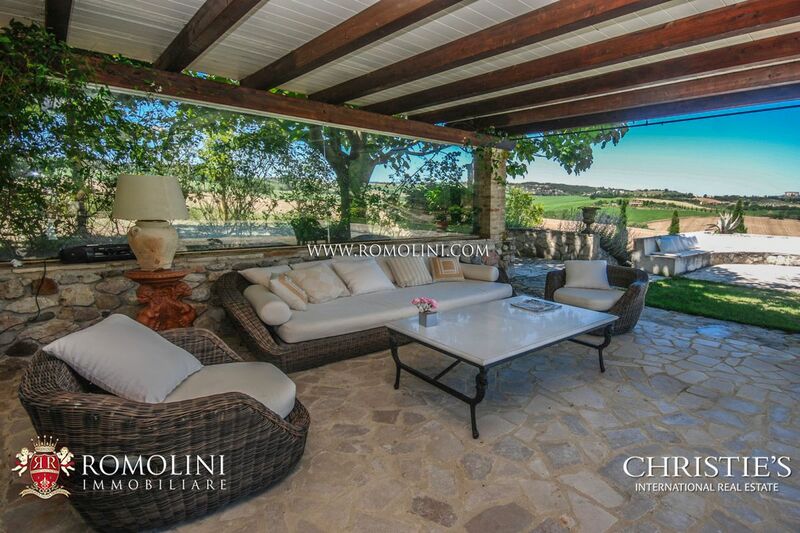 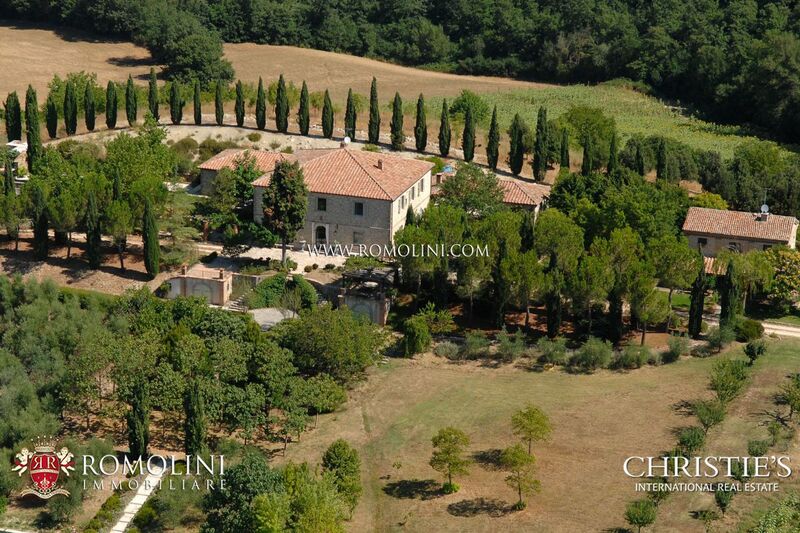 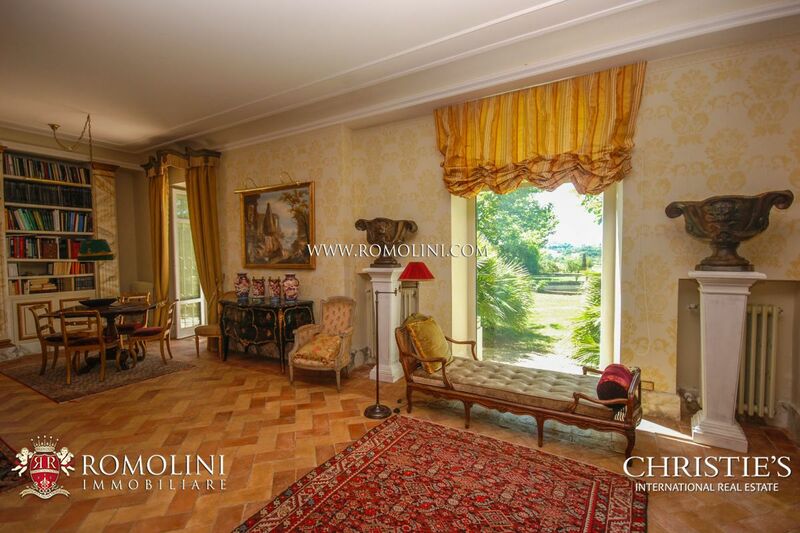 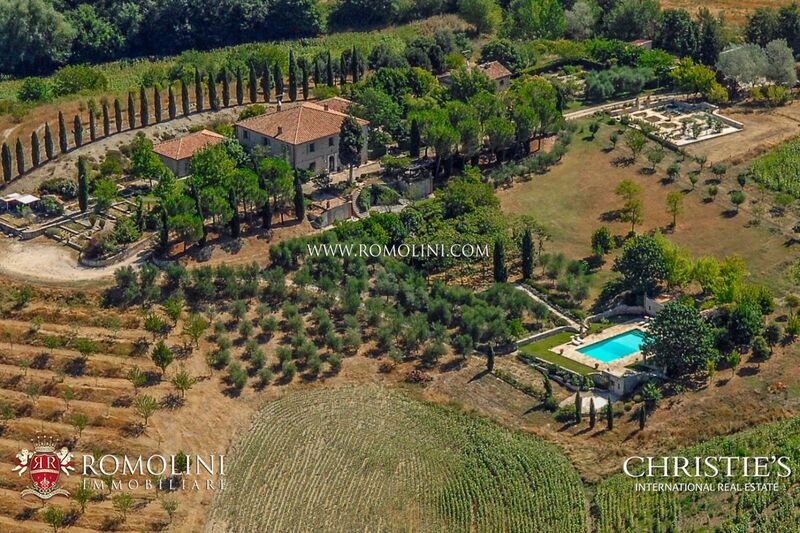 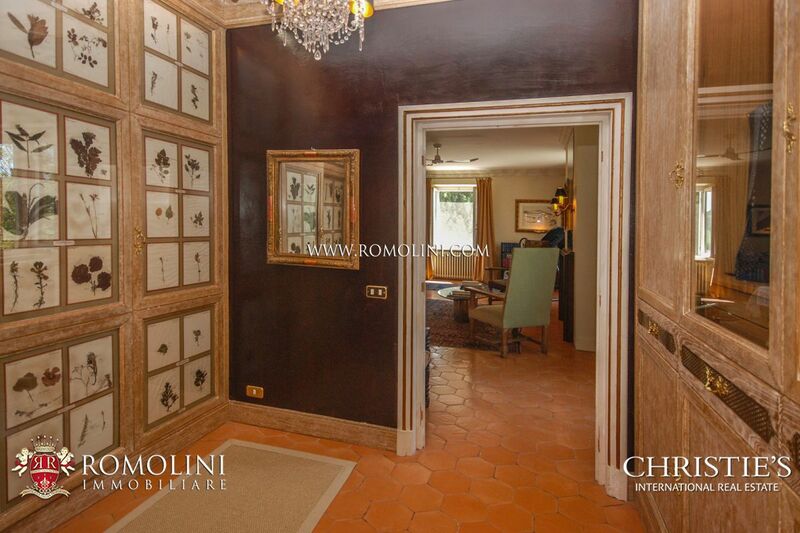 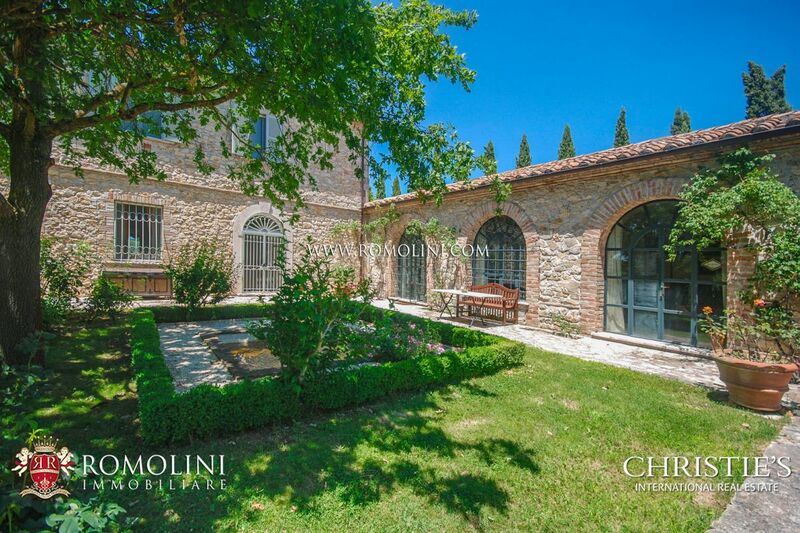 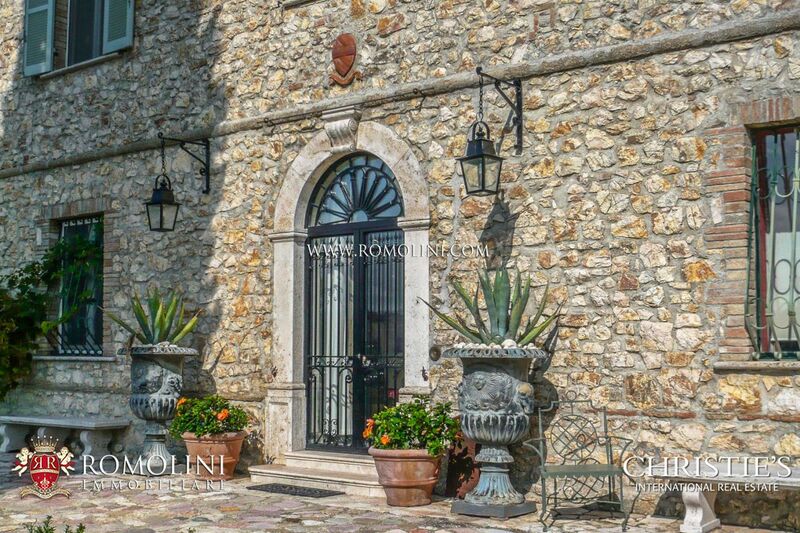 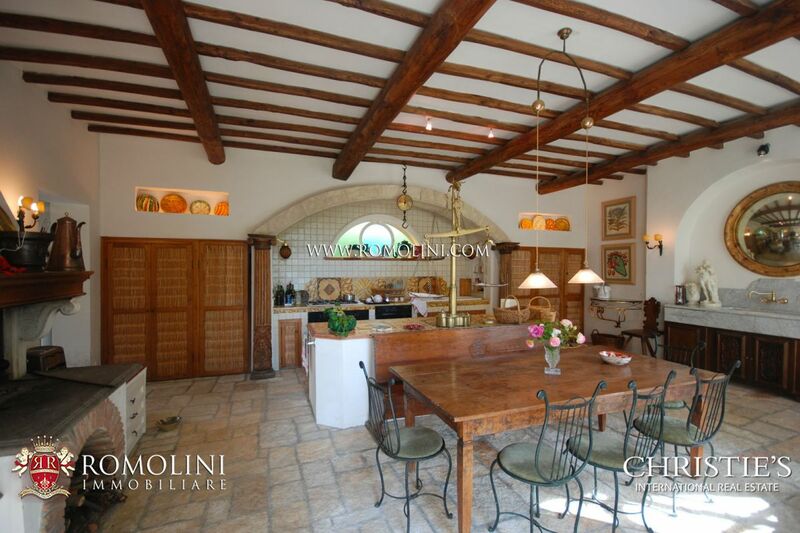 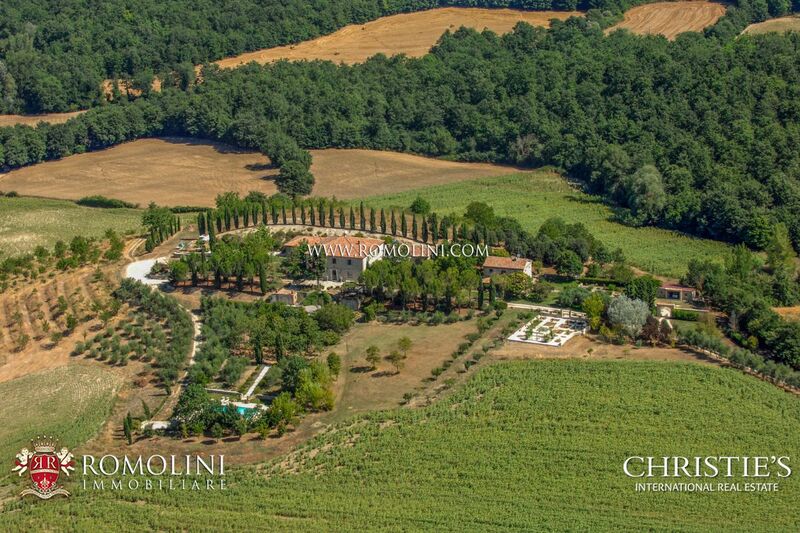 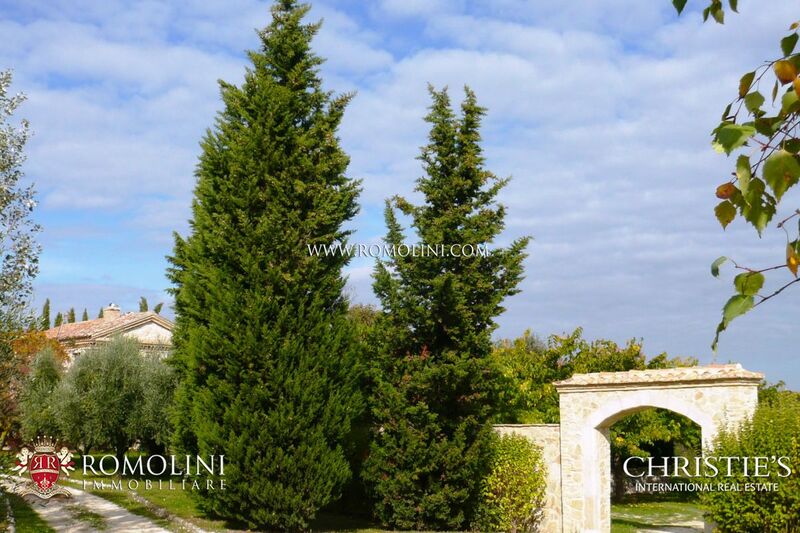 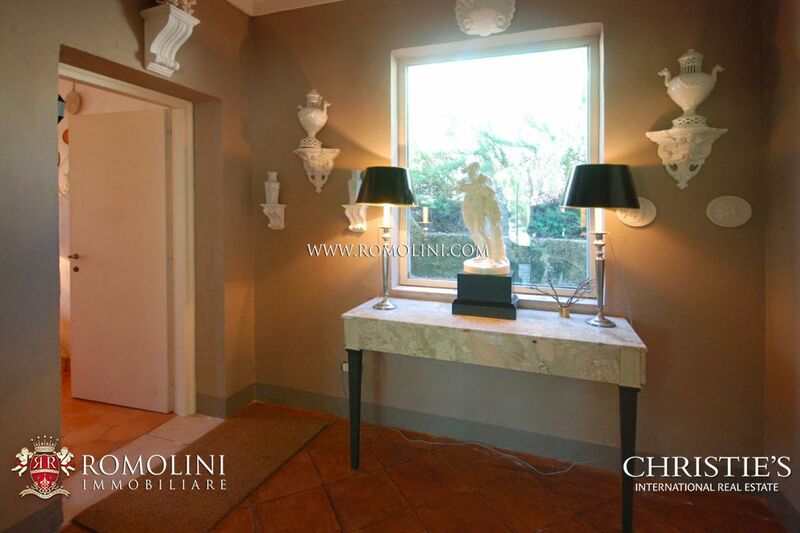 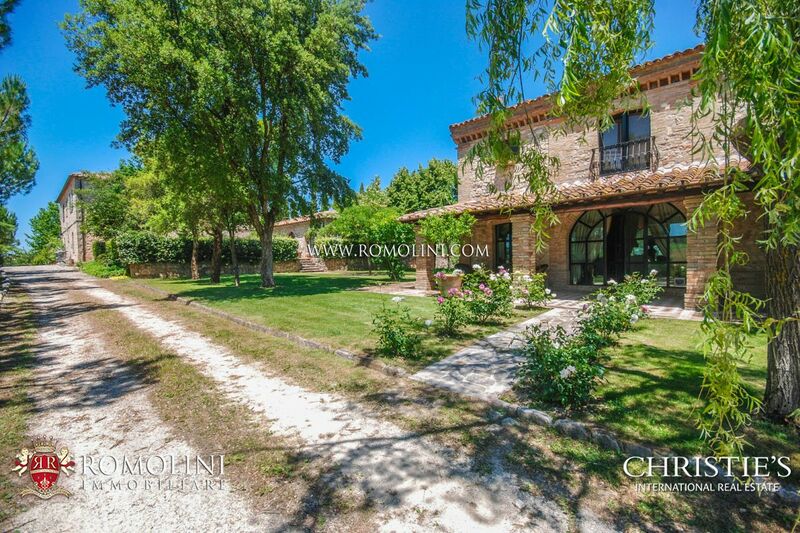 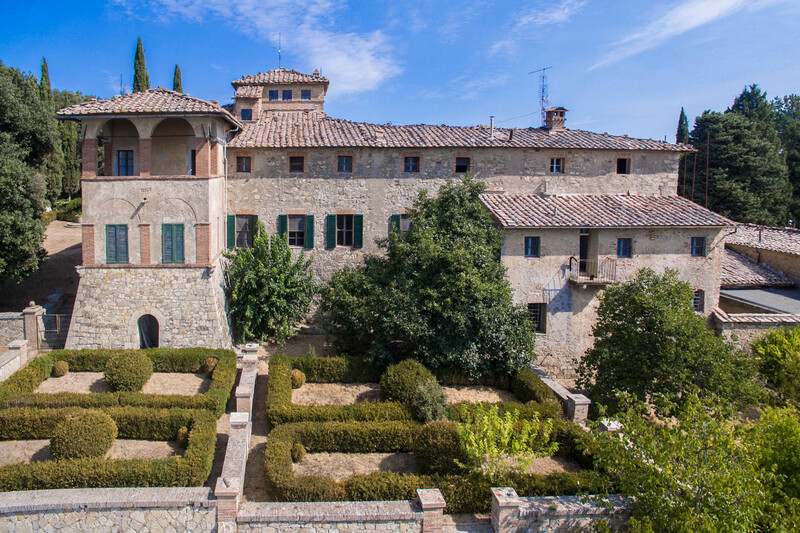 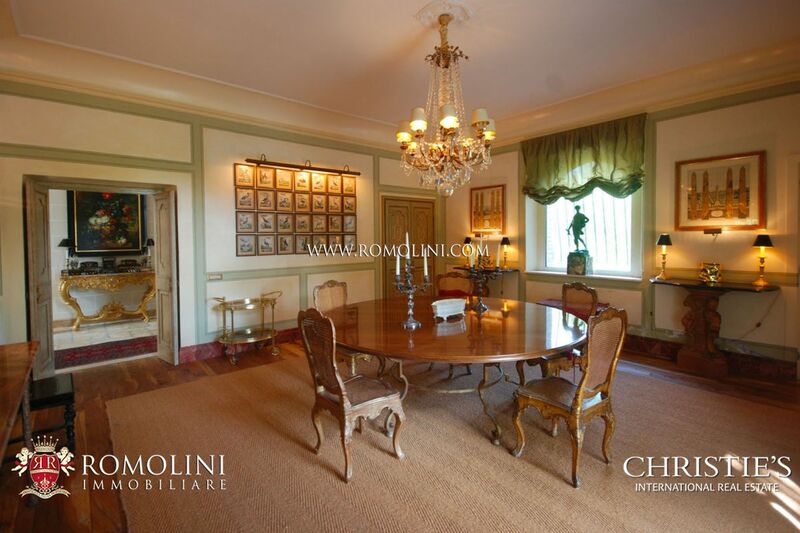 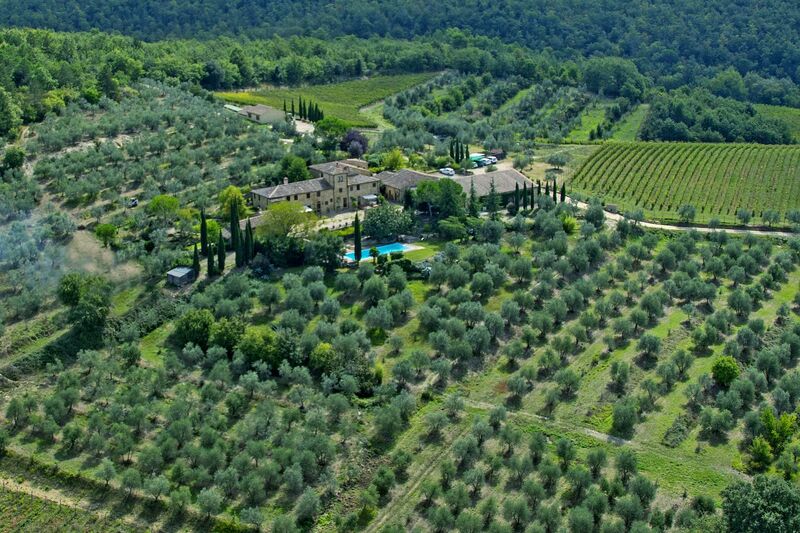 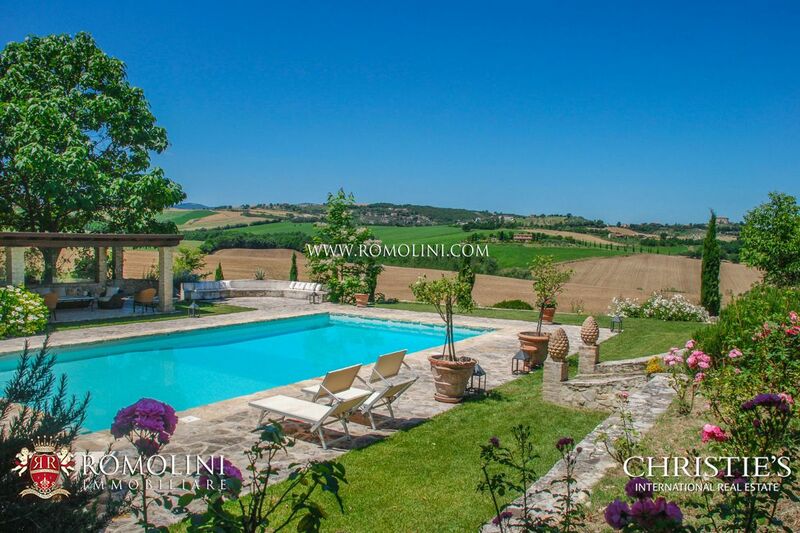 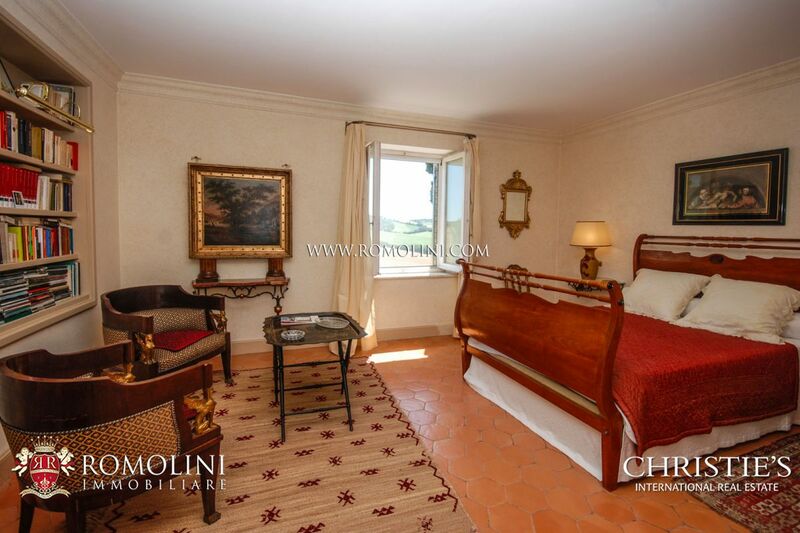 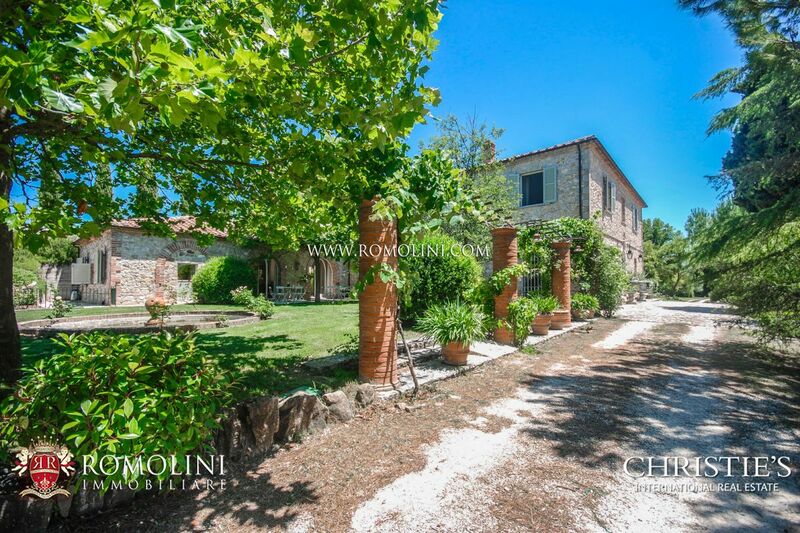 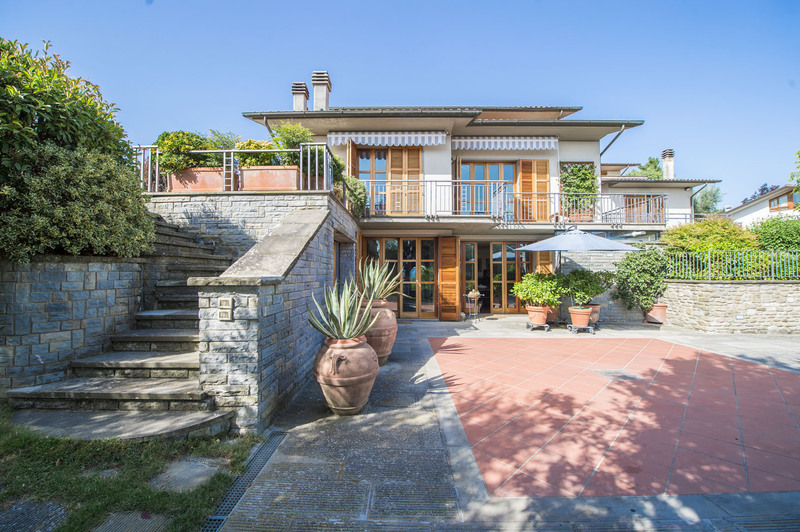 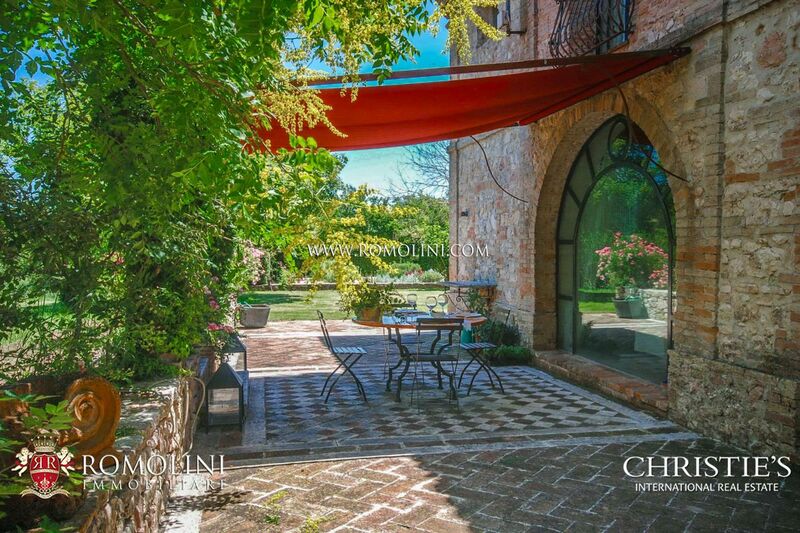 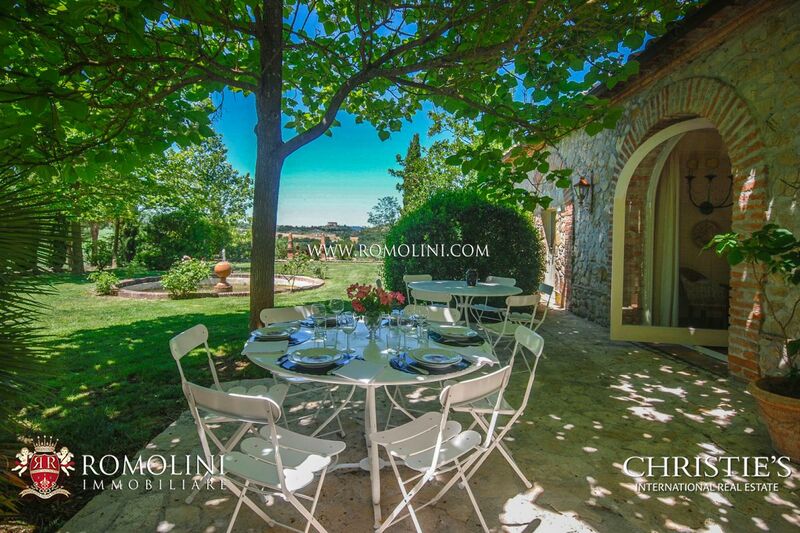 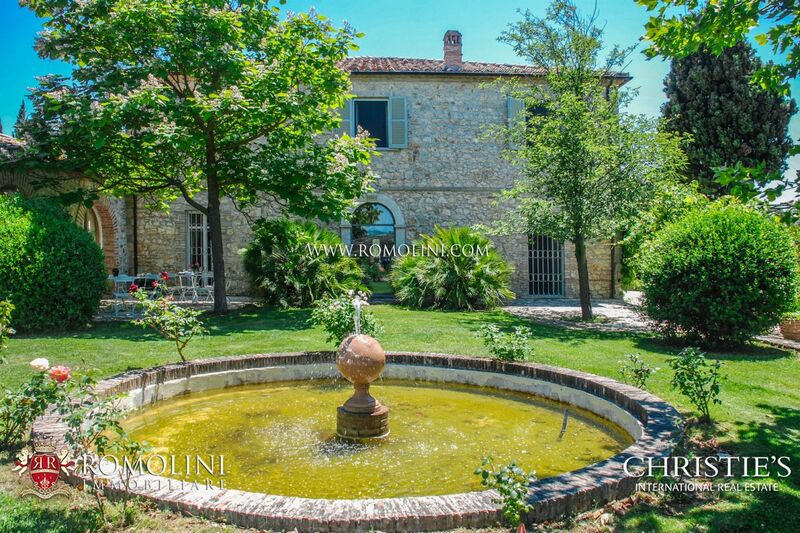 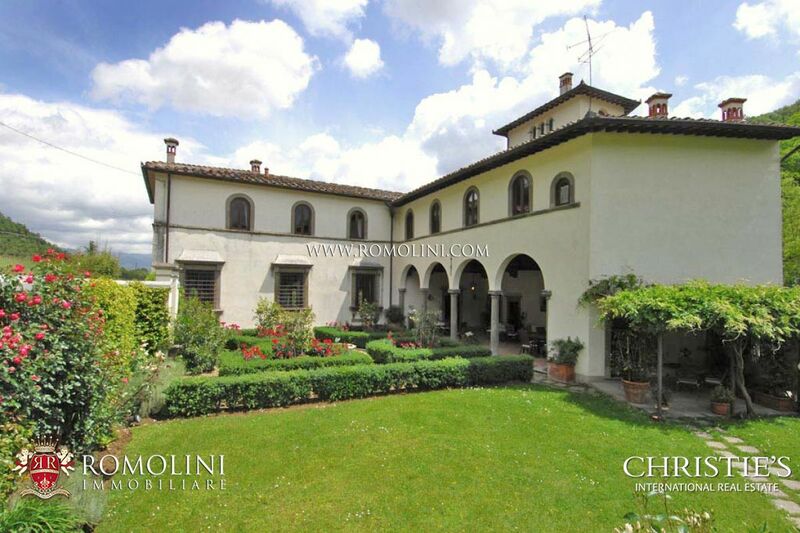 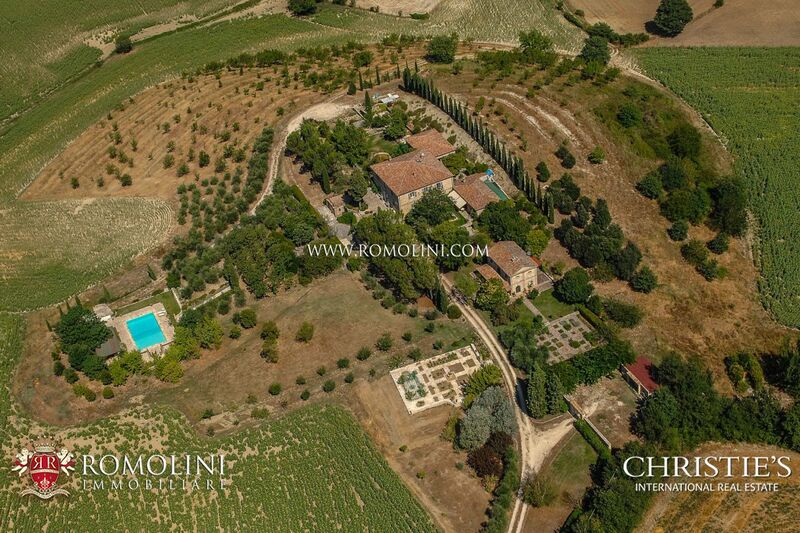 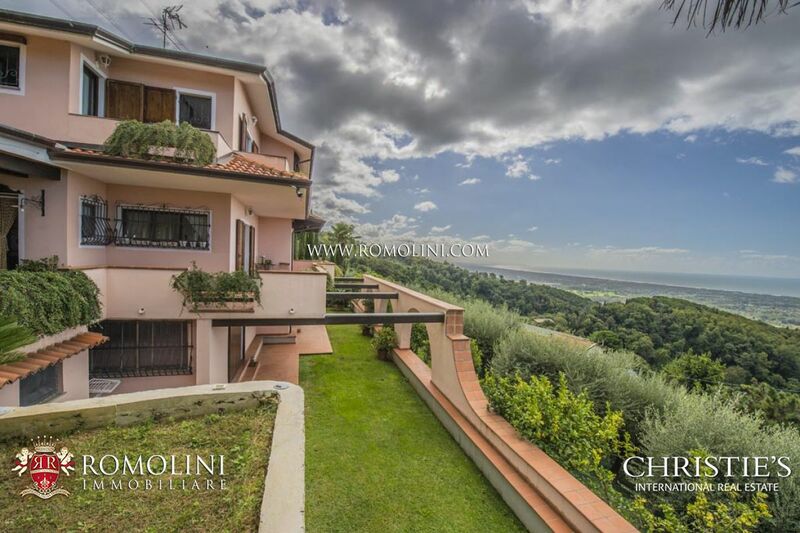 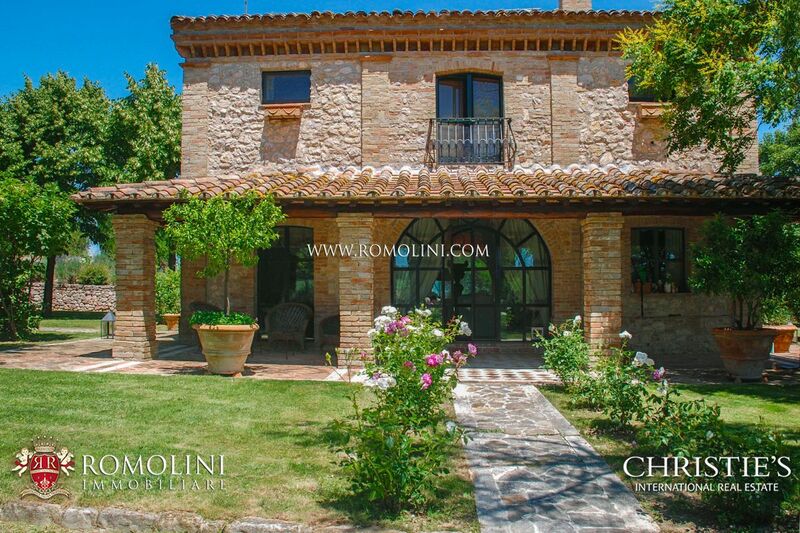 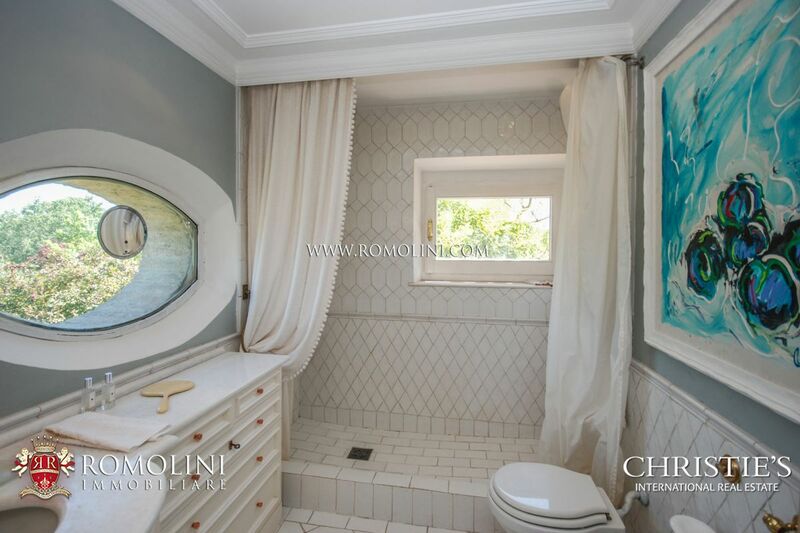 Approximately 10 km away from Todi, on a gentle hill with 360° view on the surrounding countryside, beautiful villa with 13 hectares of surrounding land. 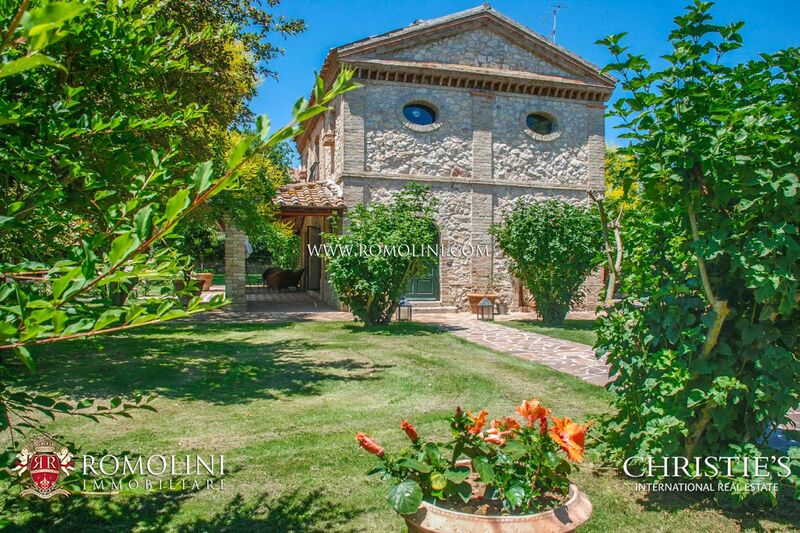 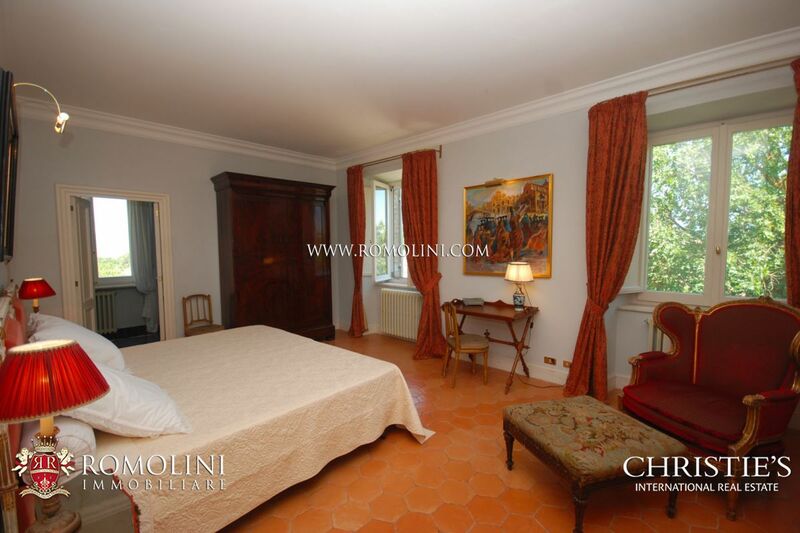 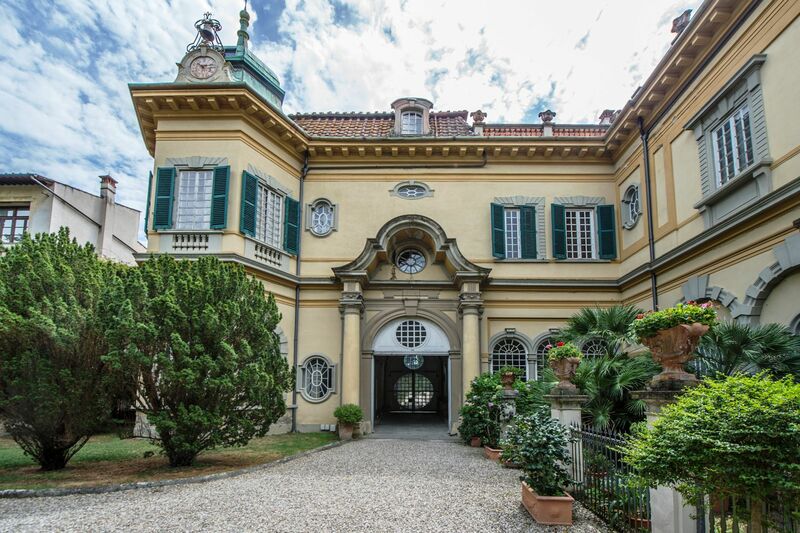 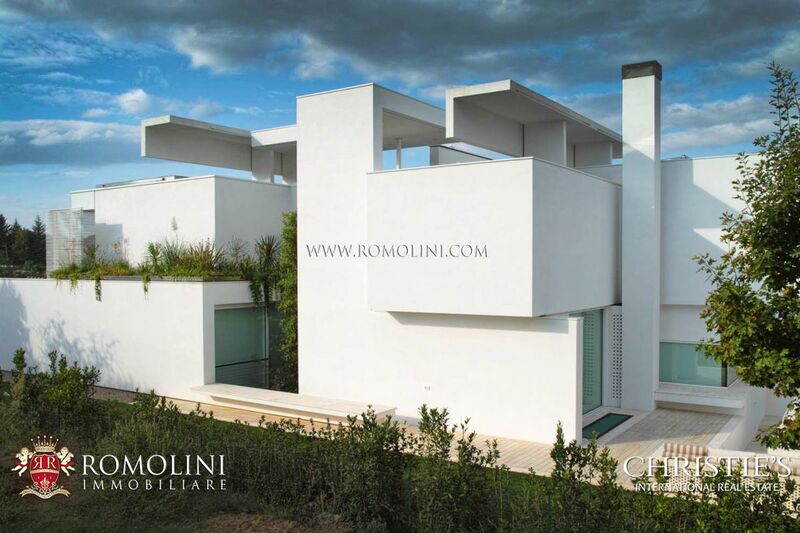 The property consists of a main central building with two symmetrical wings and an outbuilding of 153 sqm (1,646 sqft). 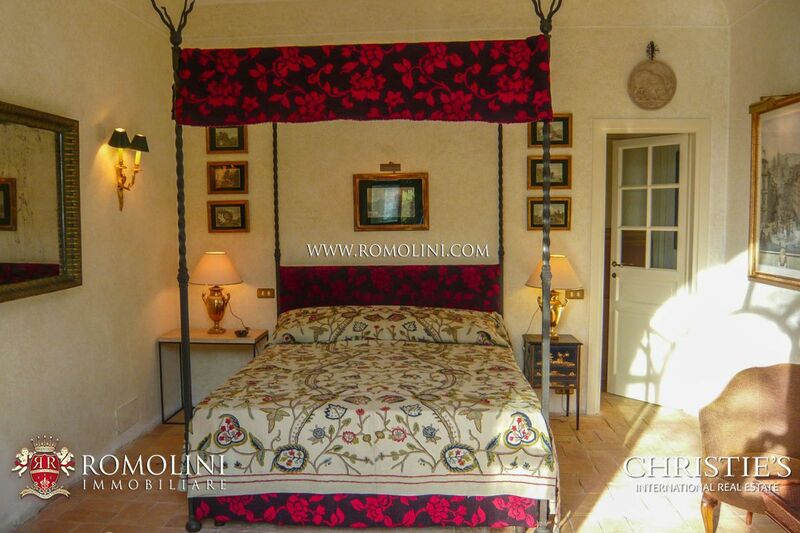 The restoration carried out has been undertaken with great taste and attention to detail. 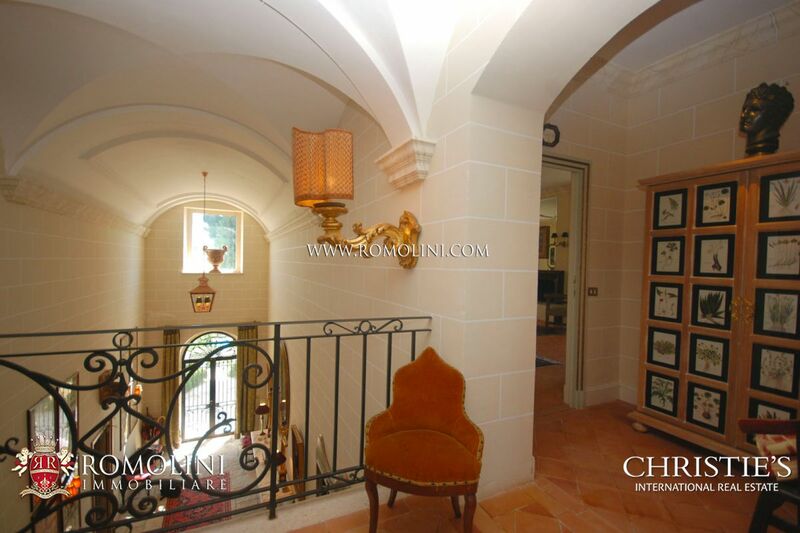 The interiors are bright and elegant. 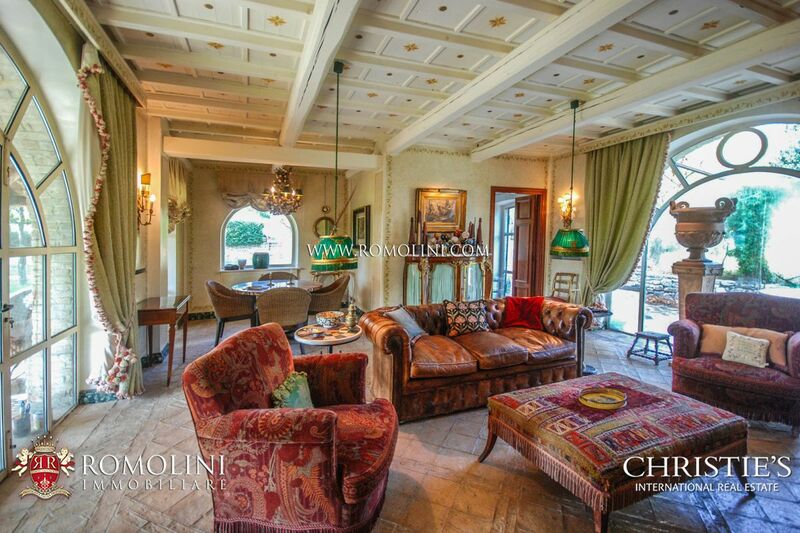 Numerous antiques and fine curtains make the atmosphere cozy and relaxing. 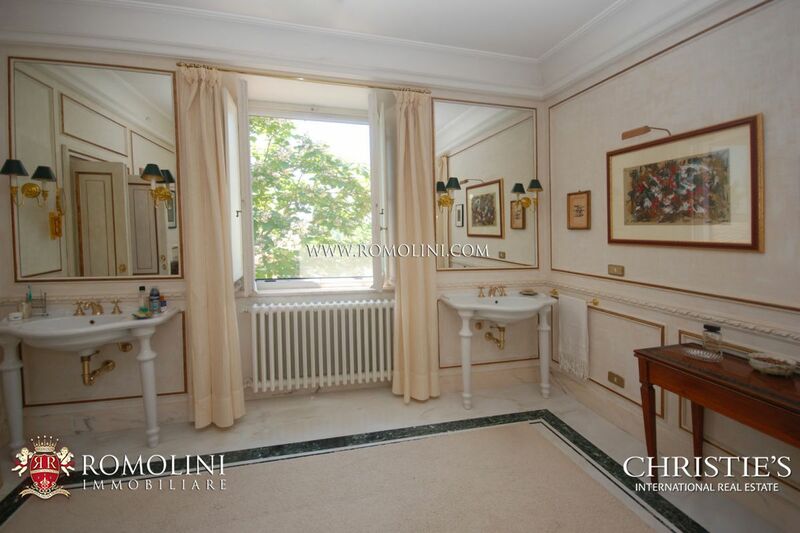 - Ground floor: entrance hall, lounge, library, dining room, large kitchen, cloakroom, guest bathroom and a study, in addition to a second large dining room open in the summer park, decorated with a fountain. 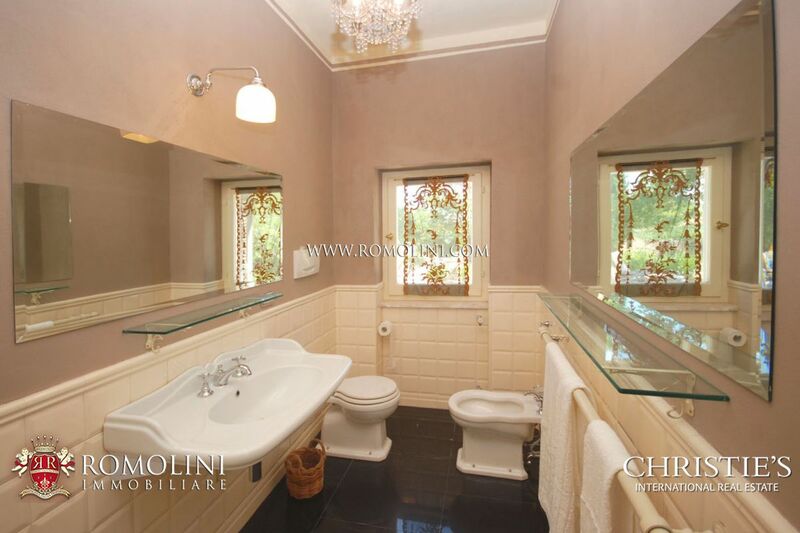 On the same floor, there are three bedrooms with two bathrooms. 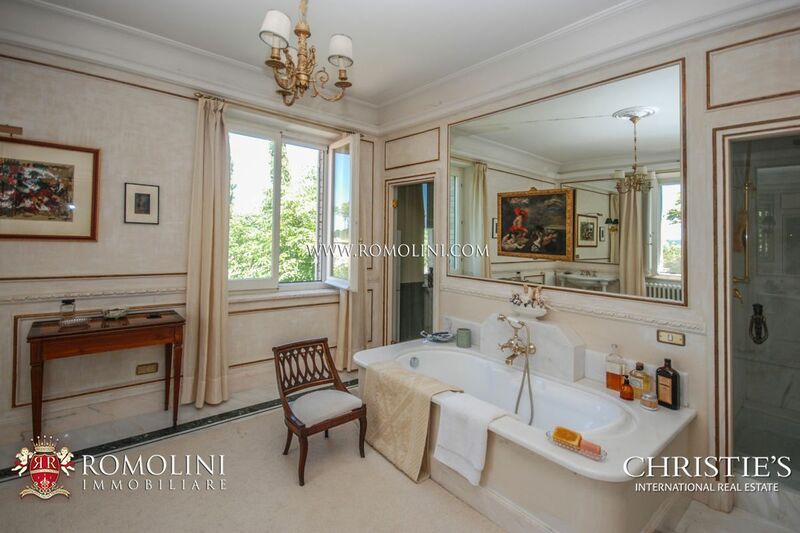 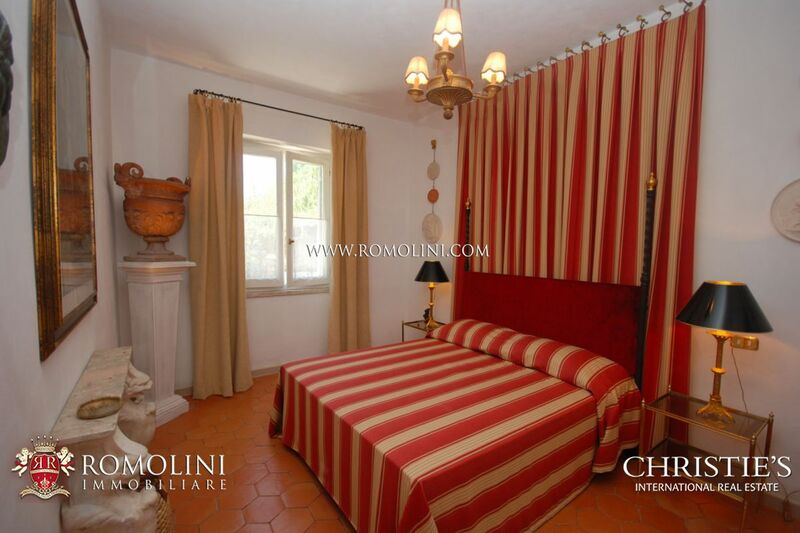 - First floor: master bedroom with bathroom and dressing room as well as two guest rooms with bath. 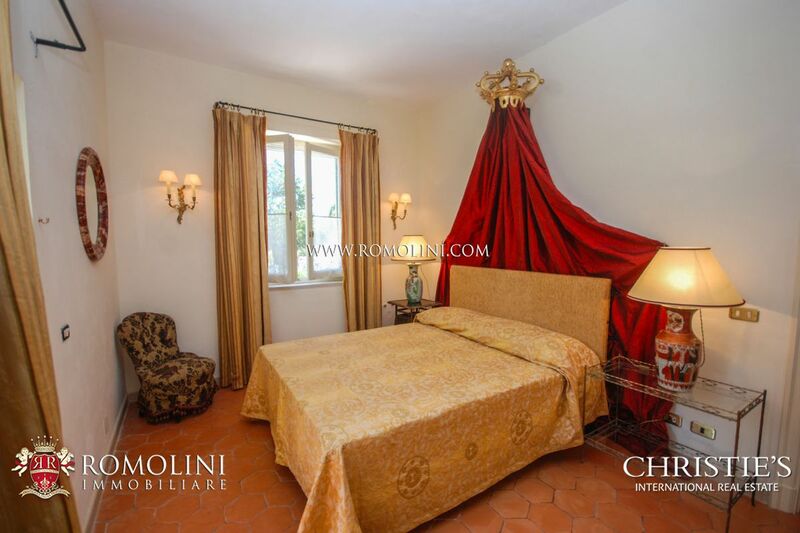 The guest house (153 sqm) is disposed on two floors, with living room and kitchen on the ground floor (with a veranda overlooking the park). 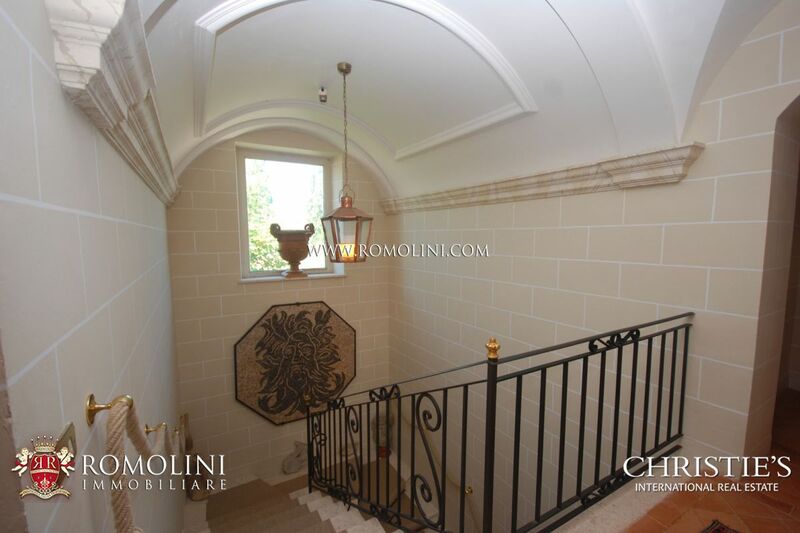 Upstairs there are two bedrooms each with its own bathroom. 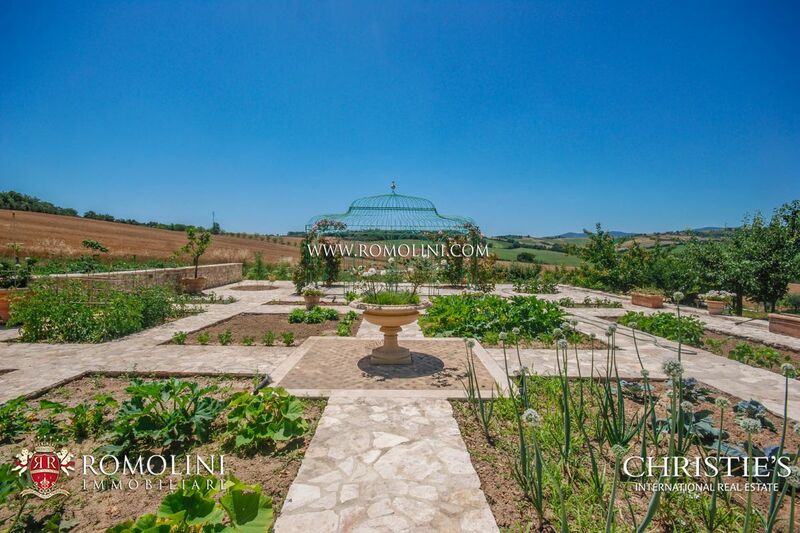 Outside, there is a well-maintained garden with fruit trees and flowers, botanical garden containing herbs and vegetable garden. 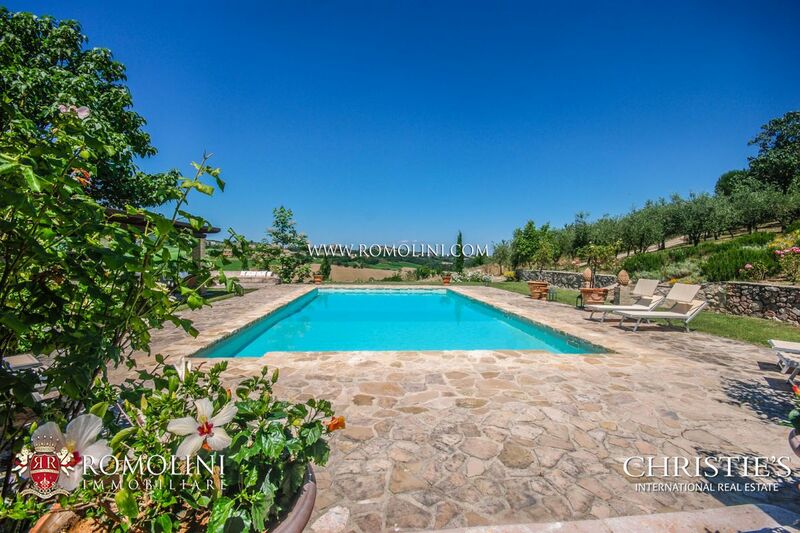 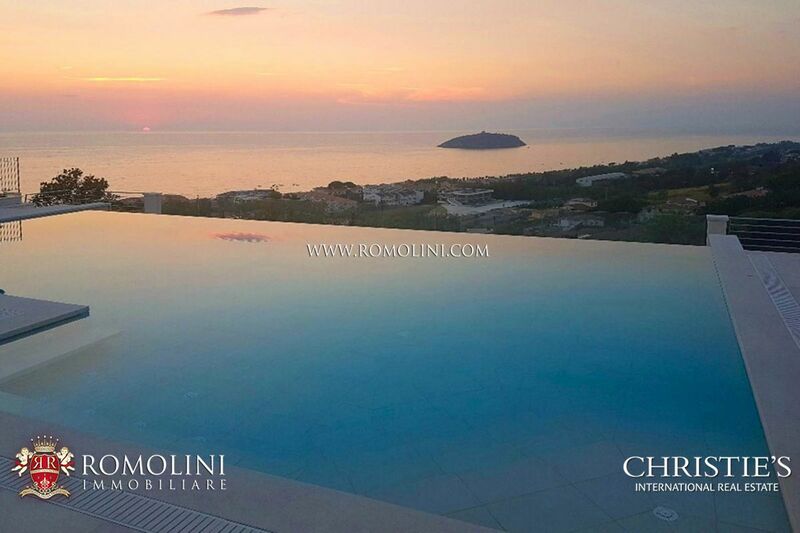 At only 100 m from the villa, is located the 14 x 7 m swimming pool, with swimming against, which is accessed from the villa through a series of staircases and gardens. 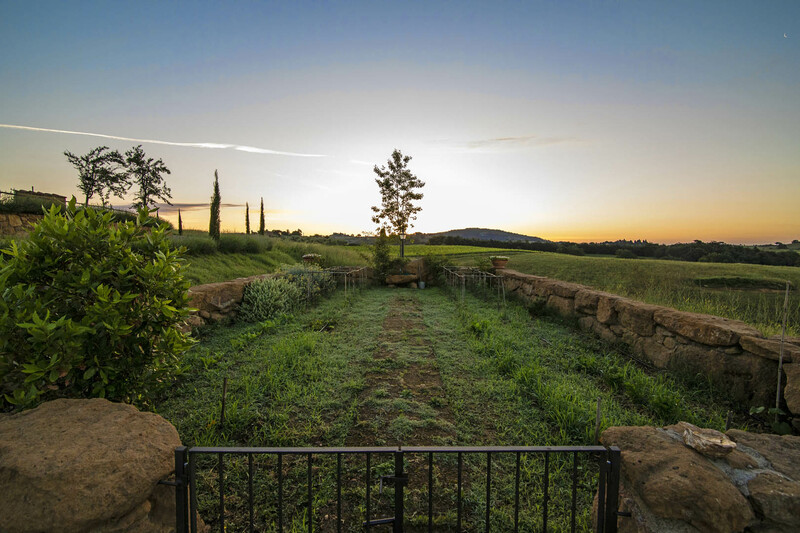 From here you can enjoy a spectacular view.